There are over 140 additional YouTube testimonial videos on my YouTube channel. I wanted to thank you for taking my sense of fatigue seriously and trying to help me overcome it. You noticed things that sent me to a surgeon to stop my snoring and fashioned a mouth guard for me. This is in addition to other tips you have given me. I appreciate you asking for my recent blood tests and analyzing them. You even went a step further and contacted my internist. She suggested, as did you, I see an endocrinologist. I have an appointment next month and will request you receive a copy of the results. Again, thank you for caring. Dr. Shapira, or as I like to call him, Ira, is an angel in every sense of the word; blessed with a great brain and a greater heart and his hands work pretty good, too. His top qualities are that he provides great results, he’s an expert, and he is creative. I will never forget his devotion to one client he met with for eighteen months, on a weekly basis, at Rush Pres St. Luke’s who still has never received a bill for all services provided. May God bless you and yours always. My longtime acupuncturist recommended Dr. Ira Shapira as an expert on Sleep Apnea when I shared with her my frustrations with my CPAP. Less than three months later, (and a sleep study to prove it), I am cured of my moderate condition of sleep apnea. Dr. Shapira created an oral appliance that is easy to sleep with and maintain. I am so relieved, feeling much better, significantly fewer headaches and more energy I would recommend Dr. Shapira to anyone. His knowledge of dentistry goes well beyond the norm. Anyone that suffers from TMJ and or sleep disorders should have a consult. I saw Dr Shapira for TMJ problems and chronic Migraines. I wore a plastic appliance for several months. All of my issues with jaw locking and clicking resolved as did my daily headaches and chronic migraines. I no longer have dark circles under my eyes either. I could not afford a full mouth reconstruction but have been wearing a permanent appliance for several years on my bottom teeth..Expensive but worth it. I did have 10 veneers done and now have killer smile, partially because I am no longer in chronic pain. I have been a patient for over 15 yrs. When I came to Dr. Shapira I was in very bad TMJ pain. He and his staff worked with me for hours and when I left that day the pain was gone. I continued treatment until my bite was fully corrected and not only that but thanks to Dr Shapira’s talent in cosmetic dentistry, my teeth look more beautiful then they ever have. Dr Shapira and the staff continue to gain education on the most innovative ways to help people look and feel good. The staff there are very kind and I always so cared for when I go for my appointments. I received TMJ treatments from Dr. Shapira and I was pleased with the results. I had terrible migraines as well as smaller headaches for as long as I could remember and they dissipated upon receiving treatment. I would recommend Dr. Shapira to anyone with TMJ.I received TMJ treatments from Dr. Shapira and I was pleased with the results. I had terrible migraines as well as smaller headaches for as long as I could remember and they dissipated upon receiving treatment. I would recommend Dr. Shapira to anyone with TMJ. I was referred to Dr. Shapira for TMJ issues almost 30 years ago. Not only did the TMJ treatment plan resolve my issues but, over the years, I’ve also received excellent dental care and had some cosmetic work done, which I am very pleased with. Dr. Shapira has a real passion for what he does, and that passion has brought him vast knowledge and expertise. I trust him completely. Also, Barb has been my hygienist over those 30 years and I am completely pleased and satisfied with her skills and commitment to keeping my teeth and gums in the best condition possible. I’ve had Dr. Amidei a few times over the years when Dr. Shapira was not available and those interactions led me to believe that he is of the same top caliber as the rest of the Delany Dental Care staff. Comment: I cannot imagine my dental work ever being done by any other dentist than Dr. Shapira!! I have been seeing higm for several years to help correct my sleep apnea. I cannot tolerate CPap so Dr. Shapira created an oral device that has literally been saving my life!!! I am a high risk patient and absolutely swear that I might not even be here if it weren’t for this incredible Doctor! He knows more about medicine from all different perspectives than most of my doctors and has exceptional skill in the practice of dentistry!! I truly believe this man is also a philosopher, a practitioner in natural remedies and has become a very special person in my life. Don’t even bother seeing any other dentist cause after you have seen Dr. Shapira you will be horribly disappointed!! I highly recommend Delany Dental for a real experience in what dentistry should be and rarely is!!! I’ve been seeing Dr Shapira since 1998. In college I developed severe TMJ symptoms where I could no longer open my mouth more than an inch. I saw numerous specialists all over the state, visited top hospitals including the Mayo clinic. My family spent a lot of money and I got no relief from my symptoms. It wasn’t until my mom called the TMJ association in Texas and got Dr Shapira’s name. I was skeptical when I had my first appointment at Delany Dental Care but I was told it’d be a long road to recovery but I’d eventually be pain free. Within the first month of treatment, I noticed the headaches lessened. A few months later I could open my mouth further and within a year I had many days were I was able to forget about TMJ. This practice gave me my life back. While I still have some symptoms a few days a year, I am overall pain free. I was told though once you have TMJ as severe as my case; it would be something that I would have to deal with for the rest of my life but for the most part; most days I will not even know I have it. I am so grateful for Think Better Life and Dr. Shapira. I have been suffering from TMJ for 10+ years and have been to countless dentists who all have told me that I am “fine.” Dr. Shapira was the first dentist to actually listen to my pain, thoroughly examine me, and talk me through my options. My first meeting with him lasted over an hour! Dr. Shapira is not only a great dentist, he is an incredible human being: kind, compassionate, and sincere. After only a month, I am already beginning to feel relief from my chronic headaches and facial pain. It is a feeling I honestly didn’t know was possible. Think Better Life is a warm, caring, and friendly office. Dr. Shapira and his entire staff have are truly competent and hospitable! When I came to Doctor Shapira I was at the end of my road with severe TMJ pain. I went to many doctors and somehow no one could solve my problem. After many months of research I found Dr. Shapira’s website. I was hesitant to make the appointment due to the distance I would have to drive and feeling hopeless, but after being astonished from watching all the testimonials on his website I thought it was worth a shot. At the first visit I could instantly tell he had superior knowledge about my issues than other doctors I met with previously. He was open and honest about my condition, the long treatment plan, and the high cost of care. Although this information was intimidating, I finally knew what the saying meant “health is wealth”, life is not worth living in constant pain and discomfort. Therefore, I decided to proceed with his treatment plan. 1 year later I can honestly say that it has been the best money I have ever spent. I am about ~80% better and I will hopefully continue to improve over time. The constant clicking and popping of my jaw is gone, I have normal range of motion again, and most importantly I am mostly pain free. Not only is Dr. Shapira one of the best and most knowledgeable practitioners I have encountered, he treats you like family and is honestly one of the most interesting people I have ever met. I never leave his office without learning a fun new fact. He truly cares about his patients and work. You can tell he loves what he does. I can’t recommend him enough if you have TMJ pain/issues. Dr. Shapira has been treating me for TMJ. We started with an oral appliance to relax the jaw and make a better bite. Then we went to a DNA Appliance. I have been pain free since almost day one. Now I can’t wait to see the results of the DNA which will reshape my jaw so I won’t need an appliance in the future. Dr Shapira is a miracle worker. His staff is Awesome as well! Very Caring and professional staff! Most definitely the best dentists I have ever been to. After an orthodontic mistake that left me disfigured and with a few less teeth, I was feeling very sad and hopeless. I decided to check out restorative dentistry. They basically pointed out everything and how your jaw can affect your entire body. The doctors were very kind, considering I was in tears. They were completely understanding. They also specialize in sleep dentistry. They did a sleep study on me and I got to choose where I could have it done. They will definitely get my business in the future. Terrific place for Dental and TMJ healing…I’ve been a patient for 13 years. Not only did they fix my cavities very well, but the incredible relief from my jaw problems was unexpected. My jaw would sometimes lock up on one side, and Dr. Ira discovered that my bite was misaligned. I had the painless TENS treatment, wore a plastic appliance made for my mouth (like a retainer), and then my jaw was fixed, my bite was fixed, and my jaw pain was gone!! Better still, this treatment apparently also aligned my sinuses, because my life-long sinus congestion disappeared. AND, I no longer require a small shim my right shoe for which I had long ago been diagnosed as having needed “because” one leg was longer than the other — which is no longer the case! Alignment works! This is a great place to get healed for life!! I have going to this practice for 23 yrs. with Dr. Mark Amidei as my dentist and Dr. Ira Shapira for my Sleep Apnea. I can not say enough about their staff, friendly and professional. I enjoy going to the dentist. A+ all around. Do yourself a favor and look no more, call and make an appointment. You will not be disappointed. I began working with Dr. Shapira several months ago regarding a case of debilitating TMJ. He uses innovative technology to measure jaw movement, ensuring that his splint treatment is precise. He also works with patients to help them understand and treat the muscular component of TMJ (something not offered by the four previous dentists I had seen for my condition). Dr. Shapira works in conjunction with Dr. Mark Freund of Natural Care Chiropractic for TMJ cases; together they are relentless in finding a solution for their patients. I have been particularly impressed that both doctors continually seek out further education and knowledge in their respective fields. I cannot recommend their work enough! I don’t know where my health would be without Dr. Shapira. I have been a TMJ patient for 20 years. I had no idea that TMJ treatment can effect your sinus, sleep, and migraine health as well. Dr. Shapira has been a lifesaver for me more times than I can count. This past January we started DNA treatment which stands for Day and Night Appliance. The improvement I’m already feeling is incredible! I wear this new, comfortable appliance 12 hours a day-basically after dinner and while I sleep. It is expanding my upper and lower jaw which is going to correct my TMJ, open my breathing passages, and greatly improve my allergy and chronic sinus infections. 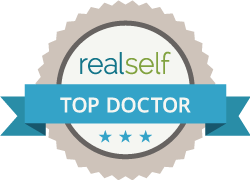 It’s mind-blowing how all of my medical issues are inter-twined with what Dr. Shapira treats. He is always on the cusp of the newest technology and treatments and many of his treatments offer instant relief. Dr. Shapira and his staff treat everyone like family. You couldn’t be in wiser or better hands. I have been a patient of Dr Shapira and Dr Amidei for the past 24 years. My husband, myself and our three sons are all patients here and I cannot speak highly enough about everyone there! Dr Shapira diagnosed me with TMJ issues about 15 years ago and I have worn a night guard appliance from him ever since. I noticed a remarkable difference within a few nights of starting the appliance and have never had any uncomfortable issues with TMJ since then. Both doctors have seen all three of our sons since they were toddlers. Barb, one of their hygienists, has been treating our entire family these past 24 years and she is the absolute best. Two years ago, Dr Shapira helped me with the decision to get porcelein veneers and I am thrilled with the results! The level of expertise he has, the wealth of knowledge that both doctors have, the kindness and care that everyone there displays – honestly, there is no place I would rather go and I have recommended many friends to this practice. You can really tell that at Delany Dental Care, everyone there is treated like they are part of their family. Everyone there makes you feel like you are as important to them as members of their own family. I highly recommend this practice to anyone looking for themselves or their entire family to be treated! You cannot go wrong with choosing Delany Dental!